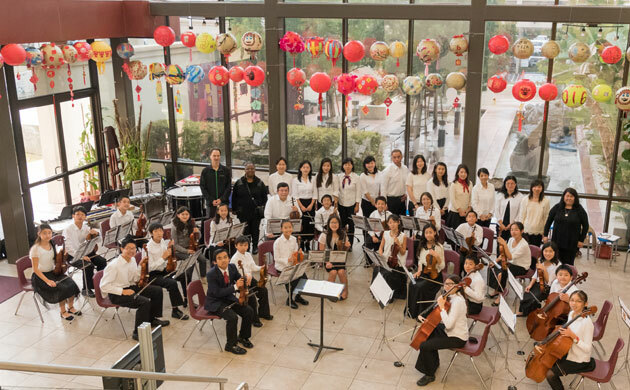 Presented in partnership with the South Coast Chinese Cultural Center/Irvine Chinese School, Strings for Generations provides a unique opportunity for family members to play and learn about music together, under the direction of professional music educators and Symphony musicians. The Strings for Generations program is geared toward students in grades 4 – 9 who have completed at least one year of string music instruction at their school, and at least one adult family member who participates with them. Adult participants can sign up to play a string instrument, or learn how to play a percussion or melodic instrument. Led by renowned music educator, Irene Kroesen, and supported by Parent Music Instructor, Chris Kroesen, Strings for Generations meets weekly on Monday evenings from 6:30 – 8:15 p.m. at the Irvine Chinese School. 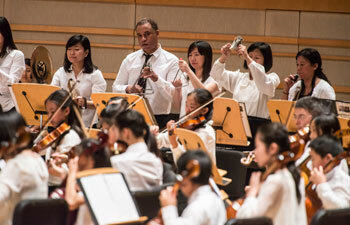 This year's season will culminate in performances at the Irvine Chinese School’s Lunar New Year Celebration as well as Pacific Symphony’s 2019 Lantern Festival at the Renée and Henry Segerstrom Concert Hall. To learn more about participating, please contact Alison Levinson, director of arts engagement at alevinson@pacificsymphony.org. Strings for Generations is made possible in part through the James Irvine Foundation’s New California Arts Fund, a grant-funded initiative aimed at engaging more culturally diverse communities with the Symphony. Questions? Contact Alison Levinson, director of arts engagement at alevinson@pacificsymphony.org.